Adelaide Safety Training provides fully accredited WHS, Fire Warden, Fire Awareness and First Aid training courses in Adelaide and across regional South Australia. We are one of the most professional workplace health and safety training organisations, and can help your business comply with the latest regulations as well as reduce WHS-related costs. This multi-award winning online fire warden training package won Gold for Best Safety product at the 2011 LearnX awards. It covers all the fundamental information to help staff evacuate safely in the event of a fire, explosion or bomb threat. It is an easy-to-use, multimedia-rich course that is endorsed by Adelaide Safety Training. This module can be used as an introductory or refresher fire safety course for general staff to ensure staff compliance. For more information, please download the brochure below or contact our team for more information. The course “PUAWER006B Lead an emergency control organisation” covers the competency required by Chief Fire Wardens to make decisions about people’s safety during a workplace emergency and to give instructions on the priority order for responding to the emergency incident area. 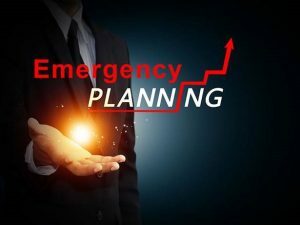 The course has been developed to cover the broad range of emergencies and workplaces as considered in Australian Standard 3745-2010 and applies to employees in the workplace within all industries and in all contexts. Assessment will cover the ability to respond to emergency reports, signals and warnings properly; to give clear directions under emergency conditions; to make decisions appropriate to the situation; to keep others appropriately informed; to respond in accordance with the workplace emergency procedures; to take on a leadership role consistent with the emergency control organisation; and to operate in accordance with the command, control and coordinate framework of the emergency control organisation structures. Adelaide Safety Training’s course “PUAWER006B Lead an emergency control organisation” is 4.5 hours in duration. Competency based training methods will be assessed through a combination of practical activities, written theoretical questions, observation reports and/or workplace simulation activities. A Statement of Attainment will be issued to successful participants. If you want to learn more about our extensive range of courses, such as our Fire Safety Training course or First Aid Training course, or to book a training session, please contact us now. Book Fire/Emergency Warden Training Today!